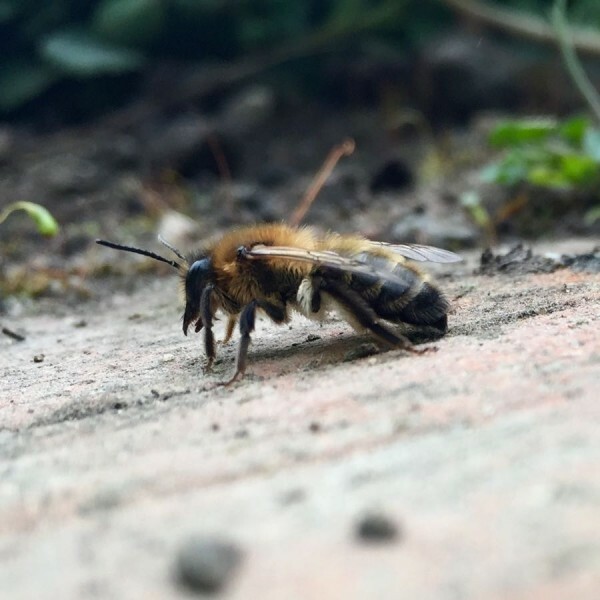 Wildlife of the UK's gardens and countryside, for the enthusiastic amateur naturalist. 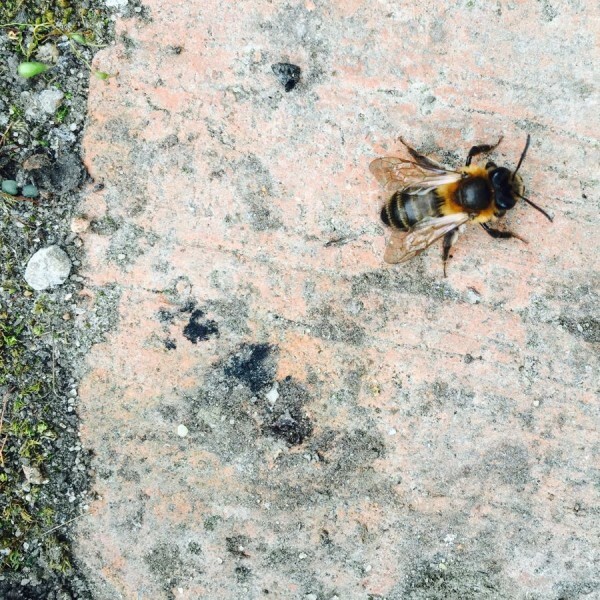 This bee paused for a breather on my brick path, and was good enough to stick around for a few photos. I assume it’s a mining bee of some sort, though I’m not going to try to identify exactly which one. This is about the extent of what a plain iPhone 6 can manage for close-up work. Time to emerge from winter hibernation, somewhat belatedly, as it’s already been a warm, dry spring in the UK, hitting 25c at one point and doing a passable impression of summer. This is the most exciting time of the year for nature lovers, at least in my opinion, as new life bursts all around. Also, I find myself spending a lot of time in the garden, and so I’m well placed to notice what’s going on outside. 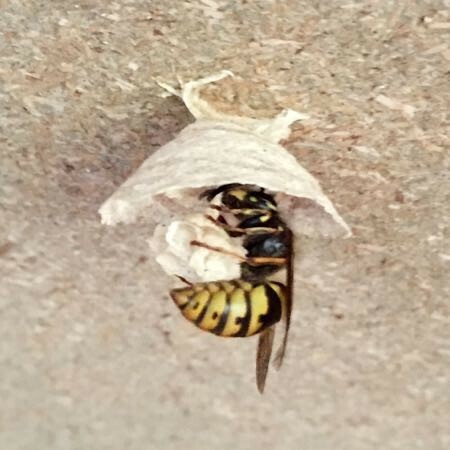 A wasp started building a nest on the ceiling of my shed, which was fascinating to watch, but realistically couldn’t be allowed to continue as I use the shed a lot. You can see it pictured above, with the beginnings of the central set of hexagonal cells handing from the centre of the outer shell. Plenty of butterflies are about, with the bright yellow/green Brimstones being particularly noticeable. Ants never seem to let up. How can there be about 3 nests (all different colours and sizes) per square metre in my garden! Do they all survive the winter or have they grown up from nothing in just a very short time? A little reading suggests they just go deeper underground below the frost line. Jays and Magpies are everywhere and very noticeable. Just that time of year. © 2019 UKNatureBlog. All rights reserved. Design by picomol.de. Powered by WordPress.